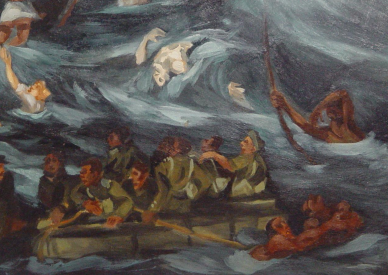 The exhibition will be closed with the launch of a new collection of poems on the Mendi tragedy titled The Cold Sea: Mendi Poems, composed by local school learners and members of Nelson Mandela Bay community. The contributors to this publication participated in poetry workshops facilitated by Brian Walter and assisted by Olwethu Mxoli and Leonie Williams. 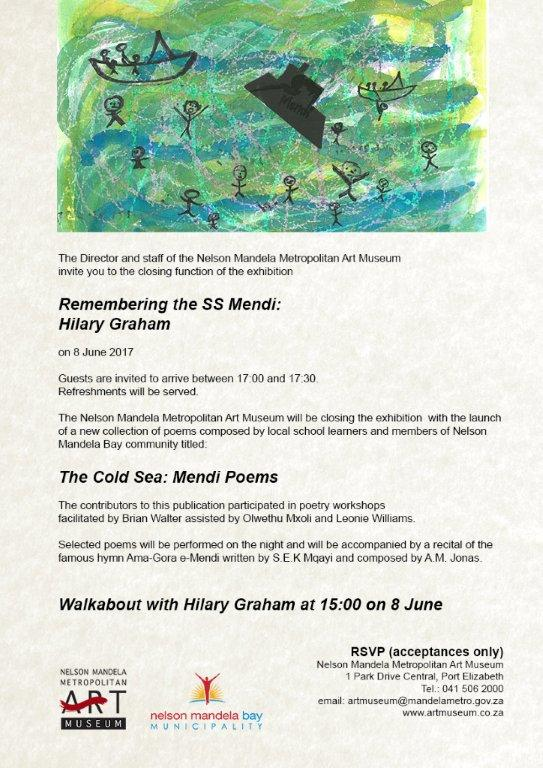 The artist, Hilary Graham will conduct a Walkabout of the exhibition on the 8 June 2017 at 3pm. The exhibition closes on 8 June 2017.